On foot, following Chung Chi Road. It takes about 15 minutes to walk uphill from the MTR station. You may buy an Octopus Card to facilitate your transportation payment in Hong Kong. Take the Airport Bus A41 (HK$22.3) and get off at Sha Tin Central Bus Terminal. 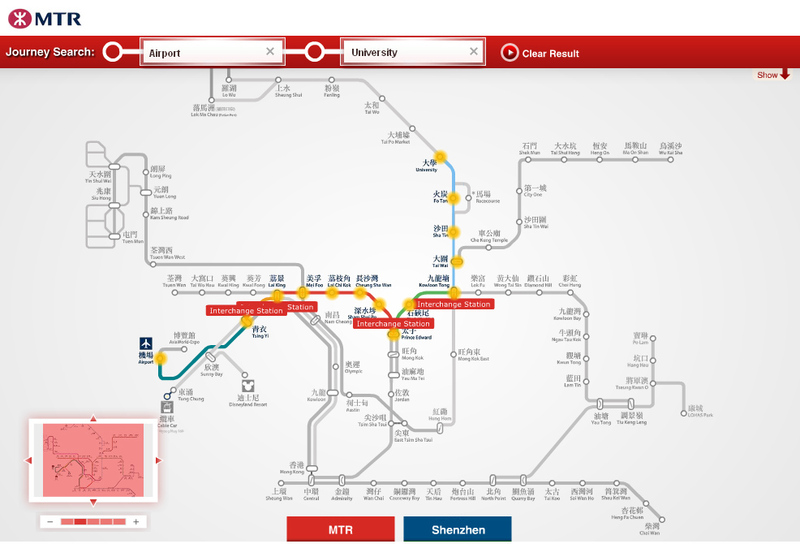 Walk to Sha Tin MTR Station and take the MTR to University Station (HK$4.5). Take a green taxi from the airport directly to CUHK. It costs around HK$280. Take shuttle bus 330 (RMB20) to Luo Hu MTR Station (羅湖港鐵站). After getting off, turn left and walk for 200 meters, walk across the overhead pedestrian bridge and go upstairs. Pass the Luohu Custom Port and take the MTR from Lo Wu Station to University Station (HK$27.5). Walk through the shopping malls to Sha Tin Station (15-20 mins). Then Take MTR to University Station (HK$4.5). Take bus 86K ($6.1) outside the hotel and get off at Sha Tin Central Bus Stop. Walk to Sha Tin MTR Station and take MTR to University Station ($4.5). Walk to Sha Tin MTR Station (3 minutes) and take the MTR to University Station ($4.5). Kung Tak Lam, featuring Shanghainese vegetarian cuisine. Dim Dim Sum, a dim sum chain. Tsui Wah, a popular “cha chaan teng” chain. Shing Kee, serving hot pot for the adventurous. Din Tai Fung, the famous dumpling chain. Nha Trang, for Vietnamese cuisine. Bangkok Thai, for Thai cuisine. Mi-Ne Sushi, for Japanese sushi. Butao, for Japanese ramen (noodle soup). School Food, for Korean fried chicken. PizzaExpress, for pizza and pasta. The Spaghetti House, for pizza and pasta. Honeymoon Dessert, serving Hong Kong style desserts and famous for its durian options.